Actually I should write a couple of long articles to explain exactly what this old band has done since its foundation in 1992. However, my aim in this article which I'd like to keep short is why Nils Landgren Funk Unit is one of the best funk groups in Europe and why you should go to see them on November 23th at Ghetto in İstanbul. 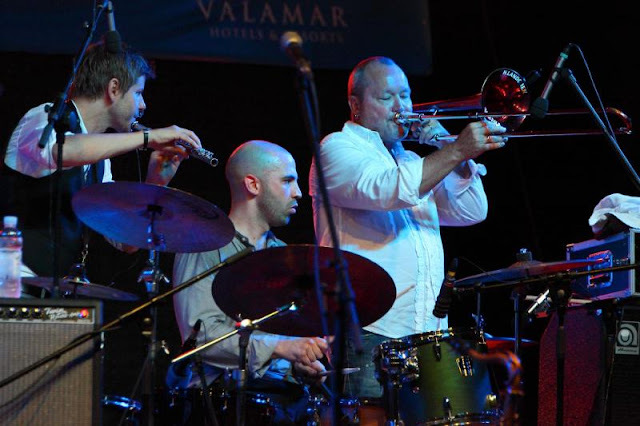 The name of the band comes from Sweden trombonist and vocalist Nils Landgren who is still the leader of the band. Nils Landgren was born in 1956 and started to play music when he was a little child with drums. He, later, switched to the classical trombone. During 80's he is inspired by legendary Sweden musician Bengt-Arne Wallin and trombonist Eje Thelin and decided to improve himself in improvisation and started his professional career by taking part first in popular bands in Sweden then played in many albums with genres of jazz, soul and folk. When we come to 1992, we see Nils Landgren was performing in his own band called Unit. When this band performed in Jazz Baltica Festival in Salzau Germany in the name of Funk Unit, they suddenly caught attractions and released Live in Stockholm album in 1995 from ACT. (You should certainly listen to that album that you can easily find in music markets) The personnel in the first unit were Nils Landgren (trombone, vocal) Henrik Jansson (guitar) Jesper Mejlvang (rhodes) Lars DK Danielsson (bass) and Per Lindvall (drums). 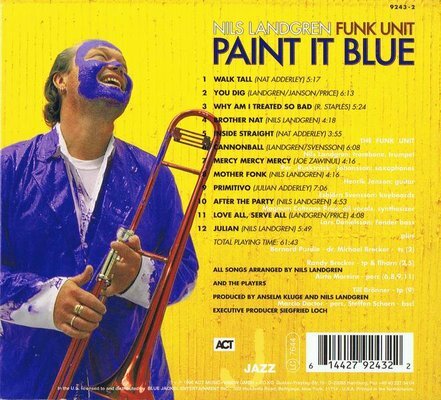 In the first album from 1995, we see Ake Sundqvist (drums, percussion and trumpet) and Jan Ugand as additions. We can also see Maceo Parker and Magnum Coltrane Price (who became one of the most important member of the unit later) as guest appearances. After the albums Paint it Blue (German Jazz Award winner) in 1997, Live in Montreux and 5000 Miles in 1999, Fonk Da World in 2001 and countless energetic live performances all around Europe especially in Germany, they became a very important band for jazz and funk listeners. Spiegel described them as the best funk band in Europe in 2001. Nils Landgren, Esbjörn Svensson and Magnum Coltrane Price seem to be the long term members of the band during these years, whereas Per Rusktrask Johansson played in albums sometimes as the band member sometimes as guest musician. We can also see E.S.T members drummer Magnus Öström and bassist Dan Berglund, Michael Brecker, Randy Brecker, Roy Hargrove, Till Brönner and Viktoria Tolstoy as the guest appearances in these albums. 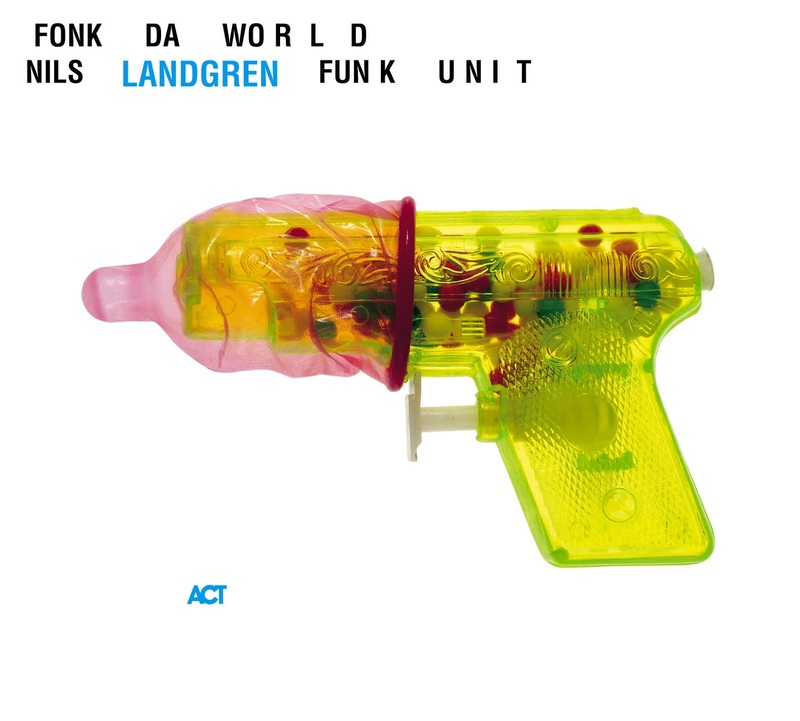 Nils Landgren Funk Unit is coming to İstanbul with Funk for Life concept. You will also find the chance to listen Turkish drummer Mehmet İkiz who lives in Stockholm. Nils Landgren Funk Unit is also a kind of Sweden jazz school with its ever evolving structure. Please remember that Siggi Loch of ACT meet Esbjörn Svensson while he was playing with Funk Unit. Nils Landgren is one of the most important name both as a producer and a musician. Nils Landgren’s support to Scandinavian jazz and vocalists emerged from this land with his discoveries worth appreciation. He is going on to play in many different projects with many different musicians. In this ever evolving structure there is one thing remains the same: His musical philosophy that says music has no borders and it should be shared. Now, that’s the ultimate reason for you to go to the concert, see and meet these good musicians. Please have a look at the albums that I have mentioned before going. (especially the live records and Fonk Da World) Or else you can see the samples below.